For the first time in2space lets you take your drawings directly from PowerCADD and use them as a reference to easily and quickly build a 3D model. In2space uses everyday building terminology to help you construct 3D environments to impress clients and give yourself a full understanding of how your construction will be visualized. Whatever stage you are at with your drawings, you can take them into in2space (try saying that fast!). Selecting the elements of your drawings you want to use as references and simply copy and paste them directly into in2space. 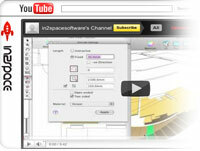 You then use your scale plan with in2space tools to snap into place walls, roofs, doors, windows and much more. Every software says it is easy to use but we think we have it right! Just 10 minutes viewing the quick start video, and you will be away in no time. Check out our YouTube channel, where we have a vast array of video tutorials to help you along the way. We believe this is the best way to get started. 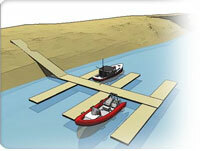 All our tools are parametric which allow you to change settings globally on the fly. For example all your windows on the second floor of your model need making 10% bigger. 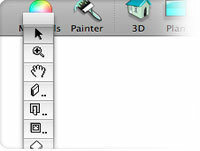 Simply select the window and edit the item in the setting window and bam, all the windows are now as you want them. When constructing models in 3D we also found that creating walls for anything above ground plane was awkward and didn’t work as you think. So we have combined levels and layers. 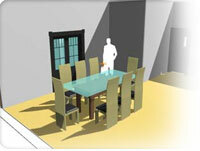 In2space has a range of amazing tools to create your 3D constructions. Each tool is intelligent in its own way. For example our roof tool works like you think. 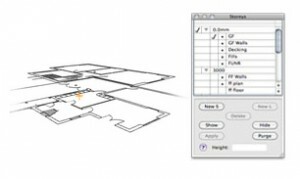 You enter the type of roof you are creating, enter the gradient then click and snap to the points of the roof using your plan, and in2space auto-constructs your roof. The roof tool is also parametric so it can be altered global.